شرکت طوس سبزوار تلاش می کند تا با آگاهی از اطلاعات فنی و ایمنی در رابطه با گازها و تجهیزات آن ها، در محیطی ایمن و مطمئن به بهترین نتیجه در زمینه کاری خود دست یابند وعلاوه برآن با این اطلاعات سطح آگاهی کاربران را نیز ارتقا دهد .دراین راستا به اطلاعات فنی و ایمنی در رابطه بامهره های استاندارد DINمی پردازیم . 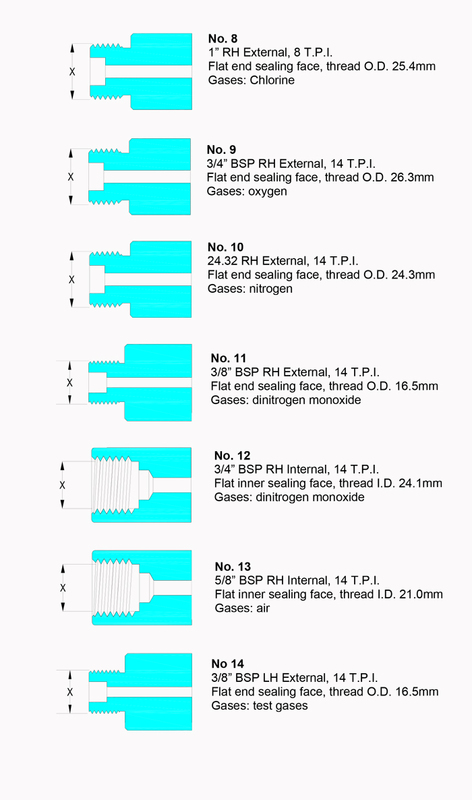 Following is a summary of the German DIN 477 cylinder valve outlet fittings. The thread specifications are technically accurate, but the dimension ‘X’ is only shown as a reference dimension (thread I.D. or O.D.) that could be measured by someone with a cylinder in order to help determine what an unknown valve connection is. Connections with flat end sealing face require a soft sealing washer as part of the connection. 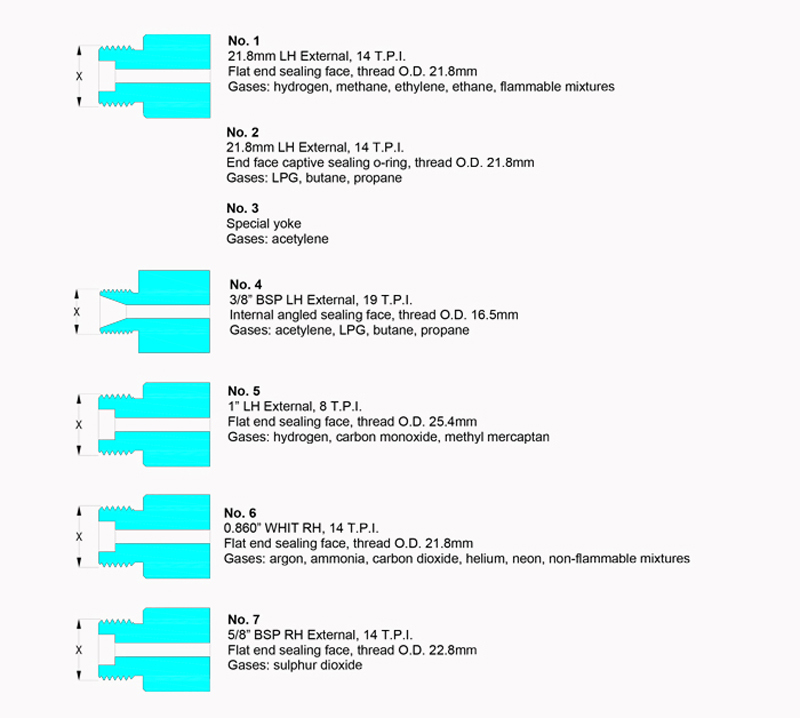 Connections with angled sealing faces are intended to seal metal-to-metal, although an optional o-ring seal is possible on some connections. Teflon tape should not be used on the valve connection threads. (I.D. = inside diameter, O.D. = outside diameter).